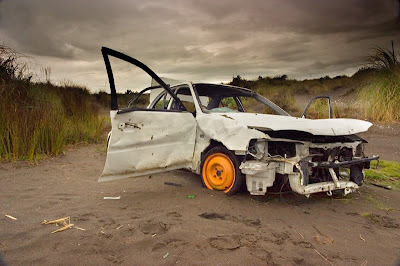 Abandoned Car in the Port Waikato Dunes. I think they've cleared a couple out now, but there are still one or two around. Shot with Canon 10d.